As CEO’s envision different scenarios for how they will realize achievement of company success, a top concern is finding and retaining people who have the skills needed to grow the business. In PwC’s global 2017 CEO survey, 82% of US respondents said that they see the availability of talent as the biggest threat to their business growth. When you also consider that the skills that have highest priority for these CEOs include problem solving, leadership, and innovation, it makes sense to have IT outsourcing included in a successful talent and business strategy. There are many roles to fill in a fully functioning IT department and it is impossible to find one or even a few people who can be experts in all aspects of IT. The roles include professionals who can build systems, keep servers running and up-to-date, and monitor the health and security of the network. Others need to specialize in software applications. There is always a need to have some people who can answer user questions, and help take care of issues when they occur. Someone who is skilled in both technology and business is needed to collaborate with management to create IT strategy. CEOs can push past talent availability barriers that threaten the growth of their businesses when they outsource IT as part of their talent strategy. 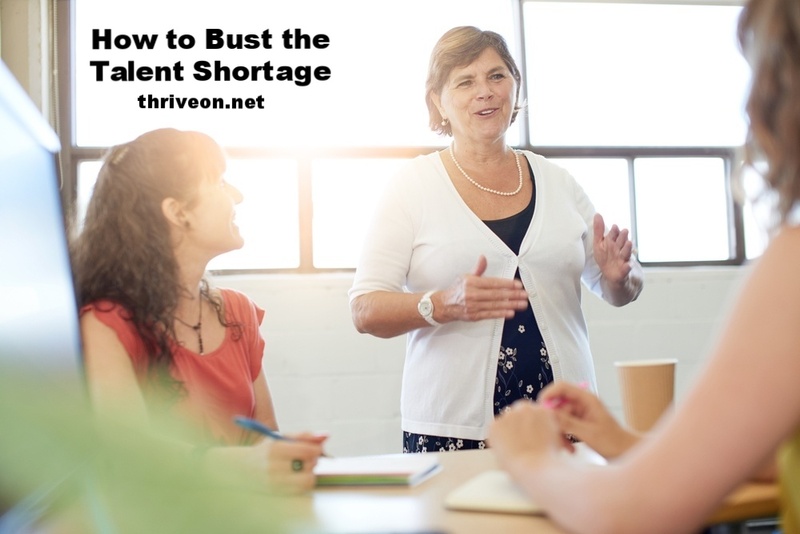 By doing this, they can offload the challenge of recruiting, training and retaining technical professionals, while filling all the roles needed for a whole IT department for a fraction of the cost to do the same thing internally. When the IT provider’s business model is focused solely on providing IT department service, a consistent high level of IT capability and innovation is delivered, contributing to their competitive advantage. Outsourcing IT can be a valuable part of talent strategy, and it’s an increasingly important part of business strategy. IT companies that work with CEOs and management to create and implement IT strategy can help them meet goals and improve business by finding ways to leverage technology to increase productivity, lower costs and better manage risk, ultimately increasing business value. PwC, (formerly Price Waterhouse Cooper), has been conducting their CEO Survey for 20 years. For the 2017 study they talked to 1,379 CEOs around the world to collect information on their opinions and attitudes on competitive threats, government regulation, the work force, and how they are going to grow their businesses during a time of rapid cultural and technological change.